Dushanbe, Tajikistan, March 30 (GBN News): Numerous protests erupted around the country of Tajikistan today over the report that outgoing NY City Schools Chancellor Joel Klein would shortly be assuming the presidency of that country. As reported yesterday by GBN News, the Tajik President, Emomali Rakhmon, will become Schools Chancellor in New York, while Mr. Klein takes over the position of Tajik strongman. While reaction in New York remained muted, the Tajik people were not hesitant to make their feelings known. Opposition appeared to center around Mr. Klein’s reputation for secrecy and his penchant for imposing his will without reaching for input from the people he serves. While the outgoing President, Mr. Rakhmon, is known for capricious and even ruthless decrees, people here at least seem to feel that he is free of pretense. Amid the fear and confusion, some Tajiks preferred to make the best of the situation. At the Education Ministry, people lined up around the block to apply for a rumored $150,000 a year position of “Chief Family Engagement Officer”. And the country’s game manufacturer was already negotiating with Parker Brothers to develop a new game based on Mr. Klein’s regime. Still, the wide scope and intensity of the protests suggest that most people here feel New York got the better end of this deal. According to Albany insiders, apparently this is wrong and the final deal on class size has not yet been struck. It is clear, however, there will be 50 more charter schools for NYC. Also, during his press conference yesterday, Bloomberg called the effort to require smaller classes with the additional state aid “individual union agendas and some ideological agendas when it comes to education...That is phenomenally dangerous, and hopefully that will not happen." Randi Weingarten had a great answer: "If believing that helping kids by getting them the best teachers possible and reducing class sizes is ideological, then call me an ideologue on behalf of children." Yet the Mayor's continued insistence that this is only the union's agenda is a slap in the face to all NYC public school parents, who in every public meeting this year and in every resolution they pass, have repeatedly told Bloomberg and Klein that they believe their kids desperately need smaller classes to succeed. To argue that this is only a UFT issue, and then to try to demonize Randi shows the Mayor's utter contempt for our very existence. Instead, it is the Mayor’s education agenda, based on more charter schools, privatization, and untested radical funding schemes, which is relentlessly ideological and phenomenally dangerous. When it comes to his own daughters, who attended private school, of course there’s nothing dangerous about ensuring that they were provided with class sizes of 15 students or less. If NYC parents ask that their children be provided with what public school students in the rest of the state already receive – classes of 20-22 on average, it’s somehow dangerous. I guess it’s only ideological to demand smaller classes when it comes to every one else's children but your own. Check back here for an update on whether the Mayor and his well-paid minions have won their battle to deny our children the smaller classes that they need and deserve – and that according to the Court of Appeals is their constitutional right. All I heard up in Albany this week was reports of the disinformation campaign the city’s lobbyists were spreading far and wide, in their effort to do everything they could to derail the effort to do the right thing by our kids. On March 29, Randi Weingarten was re-elected as president of the United Federation of Teachers by an astonishing landslide, capturing 87% of the teachers' votes. There are many reasons for the size of her victory, but I would single out these in particular: The fact that the New York Post and the New York Daily News regularly tried to demonize Weingarten made her a hero to rank-and-file teachers. They knew she was taking a beating in the editorial columns because of her defense of the union. If the Post and News had hoped to strengthen her position as the spokesperson for teachers in the New York City public schools, then they could not have done a better job. Credit must also go to Chancellor Joel Klein, who kept hammering away at the union long after Mayor Bloomberg signed a long-term contract with the UFT last fall. The more that Chancellor Klein and his spokespersons continued to talk about how they were going to diminish tenure or introduce merit pay or do other things unilaterally that would either be rejected by the union or required its cooperation, the more they turned Weingarten into a champion of teachers' rights. It was ironic that the Department of Education put out a press release claiming that it was starting its campaign to limit the granting of tenure on the same day that Weingarten was winning her big victory. What the Department did, in fact, was just to send out an electronic notice to principals about which teachers were supposed to be certified as qualified for tenure--or not. This is hardly deserving of a press release. The administration has been in charge of tenure review and approval since the day it took charge in September 2002. Why has it taken nearly five years for them to figure this out? The announcement seems to be an inadvertent admission by the administration that it has been asleep at the wheel all these years, not paying attention to its fundamental responsibility for the awarding of tenure to qualified teachers. At a press conference yesterday, the Mayor lashed out at proponents of smaller class sizes for our overcrowded schools. Perhaps he should read the resolution passed by these parent leaders elected to represent the parent agenda in District 1 of Manhattan and recognized by the Department of Ed. This resolution follows similar ones by the Citywide Council of High Schools, Stuyvesant High School and other elected parent bodies. New York City public schools, so that our children will finally receive their right to an adequate education and a better chance in getting a quality education, by giving them a more solid foundation towards their future. March 29, 2007 (GBN News): Emomali Rakhmon, currently President of Tajikstan, will soon become the New York City Schools Chancellor, replacing Joel Klein. In a surprise move, Mayor Bloomberg made the announcement today at a City Hall news conference. The Mayor praised the accomplishments of Mr. Klein, saying that he had done a “heckuva job”, but that it was “time for a change”. 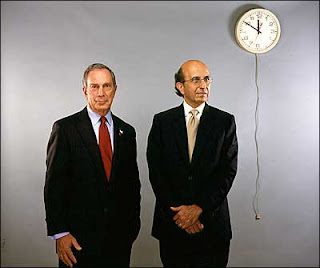 Mayor Bloomberg did not offer any specific reasons as to why he had become disillusioned with Mr. Klein. However, sources said that the Mayor had come to realize that test scores and graduation rates were not going up as fast as desired, and he attributed this to "widespread defiance" of the Chancellor's ban on cell phones. According to these sources, Mayor Bloomberg had read an article in yesterday’s New York Times about Mr. Rakhmon and felt that not only was his cell phone policy stricter than Mr. Klein’s, but his track record as Tajik strongman showed that he was capable of enforcing it. Among what the Times called a “series of idiosyncratic decrees”, Mr. Rakhmon has banned cell phones and cars for university students and ordered families to drop the Slavic “ov” from the names of new babies. The Mayor was also reportedly impressed that, as the Times put it, the Tajik president “won a third seven year term in November in a presidential election widely dismissed as a farce”. In what was termed a “lateral move”, the outgoing schools Chancellor is slated to replace Mr. Rakhmon as President of Tajikstan. The press conference held by members of the City Council calling for a halt to the latest restructuring was well attended. See coverage from NY1, the Post and Sun. The Mayor emerged from City Hall only to walk quickly pass the assembled parents and councilmembers, pretending not to notice. Corinna Lindenberg of the Chancellors Parent Advisory Council (CPAC) is quoted in the Post. The latest reorganization will simultaneously change the funding mechanism while eliminating the regional structures that support schools today. The changes will be city-wide with no pilots or trials. Many councilmembers remarked on the recklessness of the changes, all made without input from the Council, which has oversight responsibility for the schools under the City Charter. Many parents who oppose Mayor Bloomberg's cell phone ban probably wonder what would happen if their kids tried to defy the NYPD's random scanning patrols. Karim Lopez is an after-school coordinator at a South Bronx high school. Here is an account of events at his school last week, including his attempt to bring in observers from the New York Civil Liberties Union (NYCLU). Students from a South Bronx high school who refused to walk through metal detectors to enter their school building were intimidated and threatened into complying with the scanning procedures last Wednesday, March 21st. When one student refused scanning he was taken to the side, surrounded by up to five NYPD School Safety Agents (SSAs), and threatened with not being able to join his classmates. Faced with this intimidation, the student finally went along with the procedures. Another pair of teenaged boys who refused scanning was brought into a side room and questioned, at times without any adult present, about who had put them up to it. They were threatened with a week’s suspension if they did not agree to the search. For fear of jeopardizing their college careers, the students finally gave in. They were allowed to go to their classes two hours after arriving at the school. There will be press conference Thursday at 4:30 in front of Tweed Courthouse (DoE). Participating with the NYCLU will be Social Action Youth, Uptown Youth for Peace and Justice, Sistas and Brothas United, Friends of Brook Park, For A Better Bronx and Sistas on the Rise. Robert Jackson, Chairman of the City Council Education Committee is joining 27 other councilmembers in calling for a postponement of Mayor Bloomberg's latest schools restructuring. A press conference will be held today at noon on the steps of city hall. In the video below, see Chairman Jackson talking about class size, graduation rates and the restructuring at the February 28th rally at St. Vartan's Cathedral. Late yesterday, New Visions director Robert Hughes issued a statement saying all schools that qualify for grants will be entitled to them regardless of whether they hire New Visions. He declined to elaborate on why he had changed his mind. While this decision is a positive development, the episode shines a harsh spotlight on the rushed preparations to eliminate the DoE regional support structures. Today, intrepid reporter Erin Einhorn of the Daily News followed the trail of the story that we first broke on our blog last Wednesday, "A Free Choice for Principals?" In the article entitled "Visions of Cash", she describes how the organization New Visions is distributing Gates Foundation grants to new schools but has "decided to attach strings to the cash: It wants a payoff of sorts." Officials at New Visions have told principals at the start-up schools that they will not get any funding unless they also sign New Visions up as their PSO, or Partnership Support Organization, for the next five years, which means paying them substantial funds out of their limited school budgets. "I thought, 'Oh, my God, what a huge conflict of interest,'" the principal said. "We have to join their PSO and pay them for support in order to get this grant that we qualified for?" The Gates foundation refused to comment; a DOE spokesperson said that "it's too early to comment on what rules PSOs will be required to follow or whether New Visions had broken them." Just like the Children's First game, or the new Survivor version, this reflects the administration's way of making up the rules up as they go along, to make sure that no one will know what they are until it's too late! Luckily, in this case, the DOE may not be the final arbiter -- there are laws about this sort of thing. In related news, the LISs (or Learning instructional supervisors, whose positions were established just a few years ago and are now being eliminated) are running scared. They have been reportedly warned by DOE officials in charge of the internal Learning Support Organizations that they will get jobs only if they persuade enough principals that they still supervise to sign up -- and promise to pay cold hard cash -- to the LSO. "LISs and others seeking to stay employed have allegedly been told that their invitation to join an LSO will be dependent upon how many schools they bring in with them. Principals are reaching out to colleagues and friends across district and borough lines to put together networks. Parents seem to be out of the loop. The Chancellor made it clear that the choice of support organization is the PRINCIPALS alone." Is this the sort of school system we want for our kids? Details of the new plan have not yet been fully developed, but will involve fierce competition among city schools for scarce resources. The plan will take effect April 1 according to the DOE statement. By that date, principals were to have made certain choices for their schools, which will determine their success or failure. What their options will be has also not yet been decided. In a related story, Parker Brothers stock fell 10 points today amid concern over the fate of its new games, “Children First: A Game of Irony”, and “NCLB: The Game”, given that they were based on the last reorganization. Company spokesperson Brad Milton vowed that the game maker would keep up with the rapid changes. A new game is already being developed, Mr. Milton stated, which will be called, ”Survivor: New York City Schools”. However, it was feared that cost overruns due to the frequent need for redevelopment would render the game unaffordable to all but the very wealthy. Writing in today's Daily News, Leonie Haimson, who blogs here at NYC Public School Parents, makes the case for smaller classes and combats the disinformation on this topic routinely offered by the Administration. As you read, it's helpful to have some concrete examples of how the Mayor's policies deny our children smaller classes. According to parents and staffers, the Dept. of Education has suggested the school may eventually need to end third, fourth and fifth grade altogether or consolidate the classes, upping the number of students in a class from 25 to 33. Teachers, however, say that would strain their approach, in which students sit in small groups on rugs and get individual instruction. It's not just individual schools getting the brush-off. Queens Assemblyman Ivan C. Lafayette issued a press release following his disappointing meeting with Schools Chancellor Joel Klein on crowded schools in his district. Lafayette criticized Klein's failure to utilize the generous school construction funding made available by the Legislature. We covered this story in a post last week. A number of PTA and citywide elected parent organizations have placed the DoE's failure to address class size at the center of their opposition to the latest reorganization. Consider the resolution issued by the Citywide Council on High Schools, which echoes the language of Stuyvesant High School's resolution. Finally, parents have complained loudly and in person about class size problems in their schools. See our post on Joel Klein's visit to Staten Island or his series of sessions across the city. It is clear that the Mayor and Chancellor will not address overcrowding. But parents who want smaller classes for their children can take the opportunity to appeal directly to the Governor and State Legislature. The new version will seem familiar to those who know the original game. 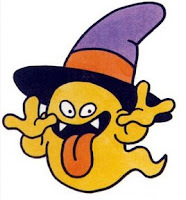 It will feature many of the same lovable characters: Mayor Bloomberg and Chancellor Klein appear like apparitions on the board as they tout their “successes” around the country, and entire school systems go bankrupt as they hire high priced consultants like Alvarez and Marsal. Players are all wealthy non-educators. They land on squares representing U.S cities, where they endeavor to wrest the local school systems from their elected Boards. Players are then expected to seek assistance from private consulting companies such as Edison Schools and IBM, to whom they pay a large part of their budgets for no-bid contracts. The Rules set numerous “standards” regarding the performance of the cities’ schools. As they pass “Go”, players try to collect enough money to meet these mandates. However, they cannot collect unless their school districts already meet the standards. If they do not, they may then draw “Blame” cards, with which they attempt to place responsibility on anyone but themselves. The players wheel and deal, and must incessantly reorganize their cities’ school systems to divert attention away from their failures. While the game is challenging, it goes on until all players end up with a final score that “meets rigorous standards”. Thus, the game could go on without end. On the other hand, none of the players actually loses. The only losers appear to be the children themselves. 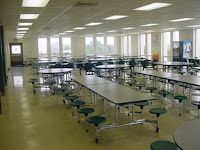 March 23, 2007 (GBN News): Flush with their success in saving $12,000,000 by cutting out numerous school bus routes in New York City, the corporate "turnaround" firm of Alvarez and Marsal has now aimed their sights at a new cost saving target: school lunches. Starting April 1, the traditional "lunch period" will be eliminated from all New York City schools, to be replaced by an as yet undisclosed academic activity period. In announcing the change, Schools Chancellor Joel Klein lauded the new plan, stating that not only would this move eliminate a cost-ineffective program that had never turned a profit, but would add time to the academic day and thus improve test scores. 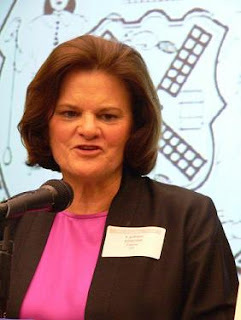 Public Advocate Betsy Gotbaum, as well as numerous parent advocates immediately criticized the planned elimination of the lunch period. In response, Mayor Bloomberg, when reached for comment, held that "Schools are for learning, not for eating". He added that the elimination of lunch would also obviate the necessity of students carrying cell phones to school. "We all know that the only reason parents want their kids to have cell phones is to call and ask what they want for dinner. With no lunch period, they'll be so hungry they won't care what's for dinner." In a related story, The White House announced today that in a last ditch effort to salvage Iraq, the Halliburton reconstruction contract would be taken over by Alvarez and Marsal. According to spokesman Tony Snow, "If we can't beat [the insurgents] militarily, we'll cut their transportation and starve them out." Right now, in the Legislature, there is a proposal to require that the city be required to produce a plan that would lead to smaller classes in all grades, using a portion of the extra funds our schools will receive as a result of the Court's decision in the Campaign for Fiscal Equity case. Huge pressure is being put on our lawmakers from the Mayor and DOE to eliminate all language requiring smaller classes in our schools. These provisions would be in this year's state budget, due only a week away, on April 1. The meeting between Queens legislators and Chancellor Klein referred to below occurred because Queens parents, as well as public school parents citywide, continue to be agonized about the huge class sizes their kids are crammed into, with no significant improvement over the last four years and no relief in sight. Despite the fact that our schools are projected to receive more than $5 billion in additional funds over the next four years, this administration has no plan to significantly reduce class size in any grade -- even though smaller classes are one of the few educational reforms that have been proven to work. For years into the future, our classes would remain the largest in the state by far and among the largest in the nation. Indeed, NY state's highest court found that our kids were being deprived their constitutional right to an adequate education because of their excessive class sizes. All public school parents have to do our part to tell our legislators that is their responsibility to make sure our kids have a fair chance to learn by providing them with the smaller classes that students in the rest of the state -- as well as the children of the Mayor and the Chancellor -- already receive. To send a free fax to the Governor, click here. To send a free fax to your Assembly member, click here. To send a free fax to your State Senator, click here. If you can, personalize the message. Tell them how your child is suffering, and why it is their responsibility to make sure that our schools reduce class size soon! Congratulations! This is to confirm your "contract" as NYC Schools Chancellor, effective five years ago. Tell your driver to take you past "Go" five times and collect $250,000 each time, plus benefits. Despite all of the rhetoric coming from City Hall and the New York City Department of Education, Chancellor Joel Klein made it clear to Deputy Speaker Ivan C. Lafayette (D – Jackson Heights) that there were no plans to utilize any additional state funding to reduce class size. Chancellor Klein told this to a group of Queens’ legislators at a meeting on Friday, March 16th at Tweed Courthouse, which is now the City Department of Education building. The reason he gave was that in order to reduce class size, he would have to build new schools, meaning he would then have to hire 500 additional teachers. Chancellor Klein also said that he did not believe any teachers would even want to be placed in these new schools because they would be built in the most overcrowded areas, thereby intimating they were minority areas. In 2005, it was the Assembly that pushed for and achieved legislative changes to the building aid formula cost allowance calculation for New York City. This change in the building aid formula, if utilized by New York City properly, will result in 60% of the cost for New York City schools over the next 5 years if the city proceeds with the 13 billion dollar capital plan, which seemingly has been abandoned. “To date the city has not taken the time to even understand the state capital formula that pays for a majority of the costs to repair existing schools as well as to build new schools,” stated Lafayette. Under the old formula, the city would receive at most 25% of capital money for new school construction projects. Under the new formula, New York City will receive up to 60% reimbursement from the State for these projects. Clearly Klein and Bloomberg have no real interest in pursuing the policies proven to improve student performance. And Klein's rationale for opposing smaller classes grows more and more bizarre. At the same time, Klein inexplicably alienates the very legislators who will decide whether to renew mayoral control of the schools when the current experiment ends in 2009. For God's sake, Stop! Look! Listen! Por Dios, ¡Pare! ¡Mire! ¡Escuche! Mon Dieu, Arretez! Voyez! Ecoutez! Luis O. Reyes, Coordinator of the Coalition for Educational Excellence for English Language Learners (CEEELL), attended a meeting with Chancellor Klein on March 14, 2007, set up by the New York Immigration Coalition's Education Task Force (of which Luis is a member). NYIC had sought the meeting to get the chancellor's response to NYIC's “Education Policy Brief: State Funding, Accountability and Successful Strategies for ELL Students”. The Policy Brief is a blueprint to accompany the promised City and State funding increases for English Language Learner (ELL) students. According to Luis, “the blueprint calls for a 1.0 ELL weighting, but just as importantly, it advocates for tracking of any new ELL funding to ensure that ELL students, their teachers and their parents benefit fully through quality instruction and support services, with public accountability for inputs and outcomes”. Asked to share his response to NYIC's ELL Funding Accountability Plan and its Immigrant/ELL Success Agenda, Chancellor Klein chose to focus, instead, on two major issues: his proposed Weighted Funding Formula and his New Small High Schools Initiative. He indicated he was surprised that we were not more supportive of his weighted funding formula proposals, which would provide different levels of increased funding for ELLs at the three different levels in the public schools. And, he asserted that the small high schools were critical because they provided options to high needs students (immigrant, minorities); and touted the International HS's with their "high concentration of talent and skills" on behalf of ELLs. Most of the time was spent on the Chancellor's two issues. On the first, we responded to the first by noting the great difference in scale between the Governor's ELL budget proposal (an additional .5 weighting that would generate an unprecedented $350 million per year in additional ELL-generated funding for New York City) and the City's proposal (a weighting that ranges between $180-$300 per ELL pupil at the elementary level to $360-600 at the HS level). On the second issue, the Chancellor indicated there was a dispute about whether ELLs were proportionally represented in the small high schools. He felt they were. We felt they were not. The bottom line, in my opinion, came down to whether or not we, the ELL/immigrant advocates, were on board with the Chancellor's initiatives or part of the opposition (what he has categorized elsewhere as the "defenders of the status-quo"). There was no owning up by the Chancellor nor his senior aides to the unwritten 2-year ELL exemption policy that has allowed many new small HS's to not admit ELLs. Nor did he respond to the issue of dismantling bilingual HS programs and leaving Haitian, Asian and Latino ELLs without equivalent options in his new small schools. While the Chancellor did say that he was "cognizant of all the different issues", neither he nor Harries and Ellner engaged the people at the meeting regarding our comprehensive agenda. Instead, we were pushed to be cheerleaders for the Chancellor's initiatives, aked, in effect, to choose sides. Nor did the Chancellor acknowledge that a two-year $45,000 grant for ELLs to 10 new small HS's was a pittance, if not insulting, in the face of the true need. I have to say that this was one of the most unsatisfying meetings I have attended with Chancellor Klein or with any Chancellor (and I go back 25 years now!). The truth is, that not engaging ELL/immigrant advocates on our terms, and expecting us to be defenders of his initiatives and proposals, is shortsighted, even patronizing. While understandable, given all the negative reaction to his reorganization plan, he is wrong to set himself up as the one and only champion of change. I believe he believes he's on the side of the angels, fighting for equity and real change. Nevertheless, his tin-ear response to our advocacy on behalf of ELL/immigrants, leads me to the brink of despair. We did not arrive here yesterday; not even 5 years ago, when he was selected Chancellor by the Mayor. Many of us have been battling the Latino and ELL dropout crisis for longer than we care to say. We have grown older and tired (I speak for myself!) from presenting Chancellors with educational reform agendas premised on the need to respect our languages and cultures while insisting on real reform, real resources, and real results. If there is one thing I would like to get across to Chancellor Klein, it is that we are neither hired help, nor unpaid flaks, and, certainly, not died-in-the-wool defenders of the status-quo. Do not patronize us! Engage us as partners, not supplicants. If you do not, you too will fail. And, if you do, so shall we. The best chance we have to make a difference will have been squandered. The New York Post ran an editorial yesterday (March 21) called "Potemkin Protesters," claiming that parent opposition to the city's latest reorganization plan has been manufactured by the UFT and "the far-left Working Families Party" so as to "derail school reform." The gist of the editorial is that real parents support Chancellor Klein's agenda. The protesters who showed up at Monday's hearings, says the editorial, were not real New York City parents. Did the editorial writers of the New York Post read the latest Quinnipiac poll? Do they know that 58% of the voters in New York City want an end to mayoral control and a return to an independent Board of Education? Do they know that after 4 plus years of mayoral control, 2/3 of New Yorkers say they are dissatisfied with the public schools? Do they know that 45% of public school parents say that Mayor Bloomberg's takeover of the public schools has been a failure? Do they know that 52% of public school parents told the pollsters that they disapprove of the way Joel Klein is handling his job as chancellor? Since the New York Post did not bother to report the poll to their readers, perhaps they don't know about it. And that's why their editorial writers think that anyone who questions the latest reorganization of the reorganization is a shill from New Jersey, not a real public school parent. According to the rules, if someone lands on one of your schools, they pay you but you must then kick back 10% to the support organization you have chosen. If you have not chosen a support organization, you collect nothing and also lose 10% of your budget due to your "ineffective leadership". However, remember the "Chancellor" can change the rules of the game at any time. The only check on his power to do this is that he must first consult with the "real stakeholders": Edison Schools, New Visions, and Alvarez and Marsal. Under the proposed reorganization, the Department of Education is asking principals to choose a support organization – either an external Partnership Support Organization, (PSO), an internal DoE-led Learning Support Organization (LSO), or if their school becomes an empowerment school, they can draw on that network for support. This initiative is being described as freeing up principals to choose the best services and deals possible from a range of possible sources – which of course, will have to be paid for out of their limited school budgets. As you know, an important priority of our Children First school reforms is making sure that all of our principals and school communities are held accountable for meeting rigorous goals for our students and are empowered to make the critical decisions about how best to succeed. You and your school community, not someone who works outside of your school, should determine what you need to be successful and you should have the resources and authority to make it happen. …. When you choose a School Support Organization, you and your school community have the chance to select the team that is best suited to help you, your staff, and your students succeed. In fact, the DOE has not yet officially chosen among the organizations that have applied to become PSOs, though New Visions confidently announces on its website that it will be one of them. Yet in many cases, this choice appears to be more illusory than real. A recent email from a top staffer at New Visions says they will delay giving out grants to the small schools with the Gates Foundation funds, until and unless these schools choose them as their PSO. Is this an inventive kickback scheme on the part of New Visions, to ensure that funds keep flowing to their organization, in this case in the form of taxpayer dollars? Clearly this will restrict the ability of principals at the small schools to freely choose which PSO might be best for their needs, given the fact that they rely on Gates-funded grants to keep these schools going. Comments anyone? Do you think the practice of forcing schools to choose New Visions as their Partnership support organization is unethical, illegal, or just business as usual, in the ruthless world that Tweed is intent on establishing in our public school system? Many, many questions exist regarding the recently-announced restructuring of our public schools. All we have are speeches and press releases from which to divine the new direction. And surely there is much to look forward to in a system that promises accountability, principal discretion, central support rather than micro-management, assurances of greater teacher quality promoted through rigorous tenure review, and funding equity that encourages enrollment of students who might otherwise be marginalized. I and many others might get behind these changes if they were more thoroughly explained, if weaknesses were discussed in good faith, and if we thought this restructuring was more than the reform-of-the-day. The caprice with which these changes seem to have been formulated and peremptorily announced leaves many stakeholders on the sidelines when our hearts and minds are needed to move the system forward. In their zeal to wring quick rewards from worthwhile reforms, the Mayor and Chancellor do themselves, their initiatives, and students great harm. 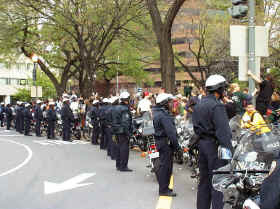 To prevent organized opposition, they shut out parents and the larger community. They deride cautionary advice from educators as incrementalism. They do everything in their power to evade checks and balances, whether it is sole source contracting or telling this very body that it has no power to legislate on education. Parent leaders like David are deliberately ignored by the editorialists at the News and Post, whose agenda is merely to blame the teachers union for everything wrong with our schools. For David's full testimony see these links on restructuring and empowerment schools. The CCHS passed this resolution in opposition to the restructuring on March 14th. Another irony in the rich history of Boss Tweed is that he was eventually brought down by Samuel J. Tilden, a reform-minded chairman of the Democratic state committee, NY Governor and a Presidential candidate. Samuel Tilden would have become President, having won the popular vote and more electoral votes as well, if not for a lot of political shenanigans. And now, more than 100 years later, Tweed appears to be having his revenge, as top DoE officials are closing down the school named after him -- despite the protests of teachers, parents, students and elected leaders. The determination of top officials at Tweed to eliminate Tilden HS flies in the face of a positive quality review of the school only a few months ago. "From the principal, whose open-door policy welcomes students at all times, to teachers and security personnel, a culture that values knowing and respecting all students is immediately observable." The small schools that will open up in its place are allowed to exclude all ELL and special education students for up to two years -- where will all these children go? See also this NY Times column about the situation at Tilden HS, and the website of the school's defenders who are trying to save it from being eliminated. An update from John Lawhead, Tilden HS teacher: On Tuesday (March 20) we had a free-lance writer who's on assignment from Voice. She attempted to interview the principal. Melody Meyers of the DOE communications office refused to give permission for the principal to talk. Also check out John's testimony before the City Council here. Once in a while, someone complains about the fact that the Department of Education has its headquarters in the Tweed Courthouse, next to City Hall. This is really unfair, as you will see. 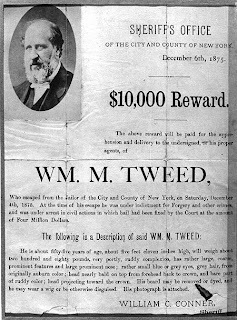 Most people make the connection between the Tweed Courthouse and Boss William M. Tweed, the corrupt head of Tammany Hall. What they don't realize is that Boss Tweed served as a member of the elected New York City Board of Education from 1855 to 1857. As his power grew, he decided that the Board of Education was a rich source of patronage. In 1869, Boss Tweed persuaded the state legislature to dismiss the elected Board of Education and replace it with an interim board that was appointed by the Tammany Mayor. Friends of Tammany cried that the independent Board was extravagant, spendthrift, etc. One of the first acts of the Tammany-appointed Board of Education was to measure classrooms and figure out how to squeeze more children into the same space. In 1871, with Boss Tweed riding high, he amended the City Charter to change the Board of Education into the Department of Public Instruction. The legislature supported the change, and for two years--until the Tweed Ring was exposed--the public schools were operated by the Department of Public Instruction. Except for The New York Times, the other newspapers in the city commended the change, saying that it would bring the schools into a closer relationship with municipal government and would streamline their administration. Once the Tweed Ring scandal broke, the legislature abolished the Department of Public Instruction and restored an independent Board of Education. Anyone who wants to read further about the adventures of the Tweed Ring will find this account in more detail in my book "The Great School Wars, 1805-1973," pp. 92-99. Mr Trabold asks "What will parents think?" but we know that's never a concern with the Administration that will build twice as many new stadium seats as school seats. Queens has the most overcrowded crowded schools in the City. But that simply means Queens parents will face another of the Mayor's false choices: crowded schools or schools on toxic sites. Here's a link to the full article. Last November, Deputy Mayor Dan Doctoroff's staff issued strenuous denials when the NY Times reported that reclamation of toxic sites for school construction was a major component of the Mayor's sustainability effort. This school-in-a-morgue news doesn't make those denials any more believable. If Mayor Bloomberg can move heaven and earth for big real estate developments, why is it so hard to build schools? Not a creature was stirring, no one to take heed. It was clear that Alvarez and Marsal had already been there. Never had parents and children felt so alone. That even Bloomberg and Klein would know something's the matter. The ghosts of Districts Present, Future and Past. The ghost of the future, from District Court. Will be in the hands of this ghostly crew. Alvarez and Marsal will go out for bids! We won't have them to kick around any more. State Senator Joseph Bruno has called the state funding scheme for public schools " class warfare." He and the GOP Senate majority oppose the formula proposed for our public schools, not because it would take money from the richest school districts (no district would lose money) but because it would allocate money on the basis of need, not greed. As a result, were the Spitzer proposal adopted, NYC's share of the education budget would rise above the 39% which it has traditionally been. All this was explained in an unusually clear way by Michael Cooper in the NY Times a few days ago. Can you stand more? Tuesday's Newsday has the current state of play of the Spitzer/Bruno school budget proposals. Mr. Cooper omitted from his, otherwise excellent, article an analysis of how the current State funding formula impacts New York City. NYC and every other school district with lower income children and higher needs, end up paying higher tax rates to support worse schools while rich, suburban districts pay lower rates to support better ones. Money actually flows out of NYC to subsidize those better schools in richer districts as Larry Littlefield has pointed out in a series of links posts on "Room 8." The GOP solution is to preserve the lock-step funding formula by adding some $500 million more to the budget to aid wealthier school districts. It's important to them that the rich not lose their proportion of state subsidy -- regardless of their need. Can you stand to read more? Try the Citizens Budget Commission long, but thoughtful and sadly, not yet dated, 2004 report on school funding -- a pdf file. The New York Civil Liberties Union has released a scathing critique of school policing practices, based on over 1,000 interviews and surveys, describing how NYC students have become criminalized as a consequence of overly aggressive policing operations, which in many instances, have led to less safety in schools rather than more. The documented behavior of the police and School Safety Agents includes derogatory, abusive comments and conduct; intrusive searches; inappropriate sexual attention; physical abuse; and arrests of students for minor violations, or for nothing at all. Countless armed NYPD officers along with thousands of SSAs patrol our schools every day -- the total number of whom constitute the tenth largest police force in the country -- more than Washington DC, Detroit, Baltimore and many other large cities. San Antonio has only half as many police per resident as NYC schools have per student. Almost 100,000 students everyday are forced to endure scanners, bag-searches, and pat downs, with no probable cause -- and by personnel who are often abusive and arbitrarily confiscate their possessions, and never return them. NYC is alone among the largest districts in the country in the manner in which police and agents are assigned to schools who are neither selected, trained or under the authority of the educators in the building, and as a result, our students are suffering. In January of this year I was late to Chemistry Lab because I had been talking with my math teacher after math class. As I was rushing to class, Val Lewis, the Assistant Principal for Security, stopped me in the hallway. Because I was worried that I would be late to Chemistry Lab, which has strict attendance requirements, I asked Officer Lewis let me keep going to class, and I told him that I had been talking with my math teacher. Officer Lewis didn't listen to my explanation and instead told me to go to the "focus room," where we have detention. I kept begging to go to Chemistry Lab, and Officer Lewis got angry and threatened to send me to the principal's office. Then he ordered a police officer stationed at the school, Officer Rivera, to arrest me. Officer Rivera grabbed me and slammed me against a brick door divider, which cut my face. I was bleeding. Officer Rivera then sprayed Mace in my eyes and face, then called for back-up on his radio and handcuffed me. Eventually they took me to the hospital, where I spent about two hours handcuffed to a chair and received some treatment for my injuries. Then they took me to the local precinct and to central booking. I missed the rest of my classes that day. Overall I spent more than 28 hours in police custody. I was also suspended for four days. If it can happen like this in school, imagine what police officers could do to you outside if something like this happened…. Why are they arresting school kids while they're in school? Tensions between students, teachers, principals, and school safety agents wouldn't be as bad if SSAs would do more listening to students and less pushing them around. Biko Edwards is from Crown Heights and is a seventeen-year-old eleventh-grader at Samuel J. Tilden High School in Brooklyn. An update: in a similar vein, see the new report from NESRI, the National Economic and Social Rights Initiative, "Deprived of Dignity: The Degrading Treatment and Abusive discipline in New York City And Los Angeles Public Schools." March 18, 2007 (GBN News): The controversial decision by the DOE to sell off PS 109 may be the result of a misunderstanding relating to the soon to be released Parker Brothers game, “Children First: A Game of Irony”. 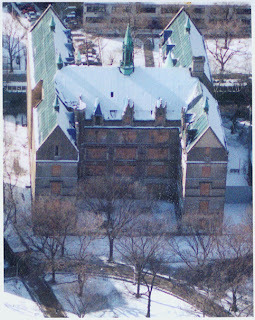 PS 109, a large, attractive school building on East 99th St., could have been used to ease the severe overcrowding in nearby schools. However, the DOE plans to sell the building for the price of $1. According to sources, Schools Chancellor Joel Klein recently obtained an advance copy of the Monopoly-like game based on the NYC school system, and has been playing it incessantly with aides. Apparently, the Chancellor’s decision to sell off a “school” he had landed on in the game caused an over-zealous assistant to take him at his word and draw up sale papers to sell a real school. The aide, trained to act on the Chancellor’s orders without questioning, presented the sale papers to Mr. Klein, who, thinking it was part of the game, signed them. Most educational observers agreed that this is the only possible explanation for the sale of PS 109. To sell such an ideal school building, especially for the bizarre price of $1, amidst the overcrowding plaguing the school system, is something even the current schools Chancellor could not have possibly done unless he either misunderstood or was totally divorced from reality. In a related story, Reality filed for divorce this morning from schools Chancellor Klein, claiming that for all practical purposes, they were already divorced. Therefore, be it RESOLVED that the Citywide Council on High Schools rejects the DOE Children First Proposal and calls upon the Mayor and the Chancellor to postpone implementation of this plan and immediately call public hearings on the priorities for education spending and restructuring of the New York City Public Schools. I have not perhaps properly appreciated the past work of Betsy Gotbaum. As NYC Parks Commissioner and Public Advocate, she'd seemed silent and accepting of Mayoral leadership whether the Mayor was David Dinkins or Michael Bloomberg. But see Leonie H's critique of this post in the comments (and mine) below. However, in recent months, Ms. Gotbaum has come to life in a wonderful way, especially on issues related to education (But, to be fair, on other issues as well). Ms. Gotbaum has played an active and constructive role in the recent debates on the deplorable performance of Mayor Bloomberg and Chancellor Klein on issues from seized cell phones, bad bus routes and erratic mismanagement. Most recently, Ms. Gotbaum has put together a powerful, damning presentation which shows how Mr. Bloomberg's Capital Plan for building new schools and classrooms assumes that half of our ninth graders will not become 12th graders. It's an excellent presentation (pdf file) well worth a click and careful review. Some may complain that Ms. Gotbaum's energy stems from ambition for higher office (She's term-limited out in 2009). If so, I applaud her ambition. Finally, a blog entry with a photo -- and what a photo. Check out the NYC public school teacher who was chosen as Playgirl's Man of the Year. Julian Fantechi, occupational therapist at PS 99 in Kew Gardens, whose story is in today's Daily News. "People say to me you're a role model. You work with kids. And yes I am a role model," Fantechi told WCBS news. "And like I said I didn't do anything wrong. I live a healthy lifestyle. What do you say to teachers who smoke in front of the school? I think that's worse of a role model than posing in Playgirl." Not much more to say -- except that after a complaint to his office, Special Investigator Condon cleared him from any wrongdoing, as Fantechi models on his own time and has fulfilled all his legal obligations as a teacher. Let's see if Chris Cerf is as lucky! March 15, 2007 (GBN News): Since we broke the story, GBN News has been inundated with inquiries about the prospective new Parker Brothers game, “Children First: A Game of Irony”, based on the NY City school system. (See previous GBN News article, “A New Game in Town”, March 10). The game has been shrouded in more secrecy than a DOE planning meeting, but one of our intrepid reporters has somehow been able to get hold of cards and a board from a prototype of the game. The game apparently comes with a warning informing users that the entire game is subject to reorganization and may become obsolete shortly after you buy it. However, owners of the computer version can download updates for what is termed a “nominal cost overrun”. • Free Parking: Pay $250 fine for failure to dig your car out of the ice by the school. You didn’t think parking would really be free, did you? • Advance token to the nearest “failing school”. If unowned, you can buy it from the DOE and turn it into a charter school. A version of the game will also be available based on the St. Louis school district. The St. Louis version is similar to the New York game but if you land on the space labeled “Alvarez and Marsal”, you go bankrupt and have to start all over again. The latest survey released by the highly respected Quinnipiac University Polling Institute had good news for Mayor Mike Bloomberg and bad news for Chancellor Joel Klein. The poll showed that 73% of New York City voters approve of Mayor Bloomberg. And it also showed only 33% approve of Schools Chancellor Joel Klein, while 43% of voters disapprove of the job he is doing. In a survey released on March 14, the Mayor's popularity was near his all-time high rating of 75% in January 2007. Voters overwhelmingly disapproved of the "Mayor's handling of the school bus schedule change" (by 62-12%). But apparently that fiasco was just a minor blip in the Mayor's continuing popularity among New York City voters. In the survey released by Quinnipiac today, there was considerable information about how voters view the Mayor's and Chancellor Klein's stewardship of the public schools. By a 58-31% margin, voters want the return of an independent board of education to control the schools. When voters were asked whether mayoral control was successful, 39% think it has. But 58% want to remove control from the mayor's hands and turn it back to an independent board of education. Only 19% of voters citywide are satisfied with the public schools; 64% are dissatisfied, including 63% of public school parents and 75% of black voters. Chancellor Klein gets a resounding vote of no-confidence in this survey. Only 33% of voters approve of the job he is doing. As noted above, 43% disapprove. His disapproval ratings are highest among black voters (50%), in the Bronx (50%), in Brooklyn (48%), and among women voters (48%). The strongest disapproval rating--52%--is registered by parents of public school students. Chancellor Klein's highest popularity was recorded in February 2003 at 46%; his lowest was recorded in March 2007 at 33%. When voters are asked how they feel about Mayor Bloomberg's handling of the public schools, his ratings are higher than Chancellor Klein's. 50% approve (among public school parents, the number drops to 47%). The mayor gets the highest approval (55%) from Republicans, voters in Queens (55%), and men (56%). He gets the highest disapproval rating (50%) from public school parents. On the subject of who should control the schools, only 31% say that it should be the mayor. 58% say that it should be an independent Board of Education. The groups that most strongly support an independent Board of Education are Blacks (66%), Democrats (64%), women (64%), voters in the Bronx (62%), and public school parents (61%). When asked who should control individual public schools--the principal, the neighborhood school board, or officials from the city department of education--voters overwhelmingly rejected the NYC Department of Education. 38% preferred a local board; 33% say the principal; and only 18% choose the NYC Department of Education. While voting groups were divided in their choice between the principal and a local school board, there was resounding agreement that the one group that should NOT control individual schools is Department of Education officials. Let's hope that Mayor Bloomberg reads the poll results. Nearly five years into mayoral control, the public is not satisfied with the public schools. 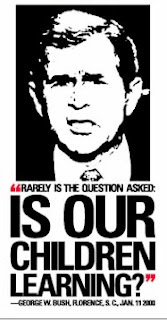 They don't trust the Department of Education that he created. They want an independent Board of Education. Attention must be paid.